Pakistan’s famous Tennis star Aisam-ul-Haq Qureshi is suffering through tough time in his marital life and has finally decided to break her marriage with Faha Akmal. 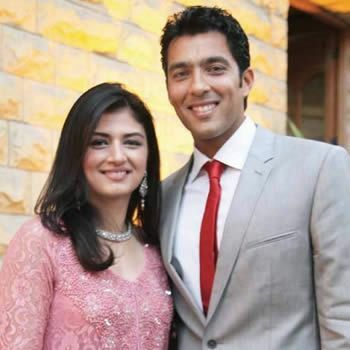 Aisam-ul-Haq has admitted that he and Faha Akmal are no more together and he has sent divorce papers to Faha as well. Faha Akmal, who is a clinical psychotherapist by profession, also has differences with husband Aisam-ul-Haq since their marriage on December 17, 2011 and has finally confirmed to end her marriage after the meeting of their elders. Faha Akmal has declared her split with Aisam-ul-Haq through social networking website Twitter. However, Aisam-ul-Haq has no plans for second marriage and is focusing on his career and is planning to win Grand Slam in the World Tour Finals.